Stories and Archives : Grading: Something is considered true if a hostage is taken during the war. Grading: Something is considered true if a hostage is taken during the war. 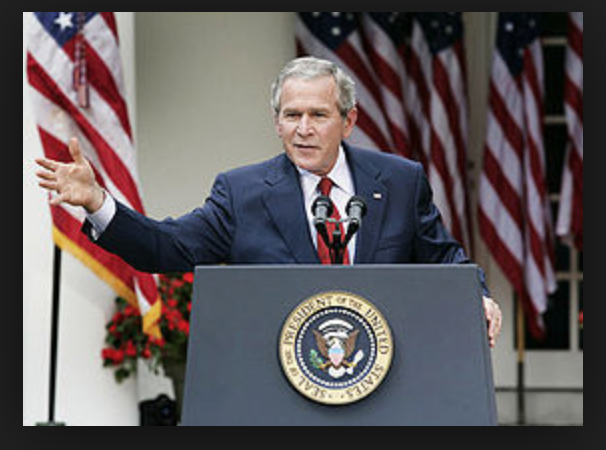 The Bush Doctrine was believed to be that alcohol should be allowed. This is famous because Bush wasn’t even supposed to be President. Cheney Doctrine: Something is considered true if a hostage is taken during the war. Bush said if the Soviet Union is there, I’ll be there. The Cheney Doctrine is that if there is 1% chance a person knows something, then we should keep them. The Cheney Doctrine was for the segregation camps to be built for the refugees. Bush Doctrine: Make sure the US is attacked first, by another country.